March 12, 2018 © Leeham Co.: Embraer isn’t planning any new airplane any time soon, but studies about a turboprop and an electric airplane are underway. One concept of the Embraer turboprop under study. The current focus is on introducing the Ejet-E2 into service, however. The E190-E2 goes into service next month. The E195-E2 follows next year and the E175-E2 in 2021. Studies about the electric plane, with 50 passengers or less, perhaps are more esoteric than pending reality. Airbus and Boeing also are studying this concept. The prospect of a turboprop may be more rooted in reality, however. 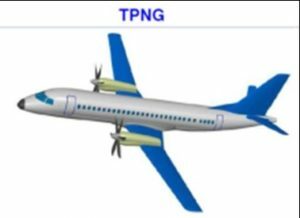 Current turboprop designs are aging. Bombardier’s exit from the turboprop market is considered likely. Tough business case seen working with Bombardier exit. The ATR is too small for some airlines. Oct. 9, 2017, © Leeham Co., Montreal: The National Business Aviation Assn. (NBAA) annual exhibition begins tomorrow in Las Vegas. LNC doesn’t ordinarily follow business aircraft, but when I was in Montreal last month visiting Pratt & Whitney Canada, I had the opportunity to meet with leaders of the PW800 team. This new engine powers the new Gulfstream 500/600, a corporate aircraft undergoing testing. Admittedly, not being conversant with the G500/600 or the PW800, details of which may be not new to some others, I was taken by a fewer pointers shared by PWC.